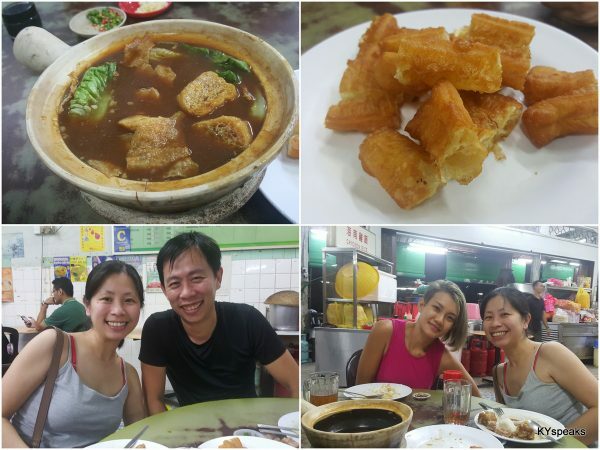 Bak Kut Teh at Klang is not merely a popular dish, it is pretty much a way of life. 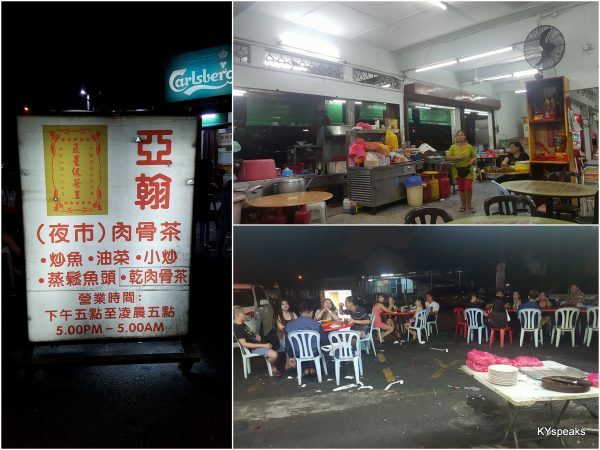 There are hundreds of bak kut teh sellers in the municipal, each offering their unique interpretation of the Malaysian-invented dish, and best of all, with varying operating hours so you can actually have a good bowl of bak kut teh goodness anytime around the clock. After picking up my sister my sister from the airport late at night over CNY holidays, it was just natural that we cross an item off her “back to home” bucket list – good old fashion Klang BKT. 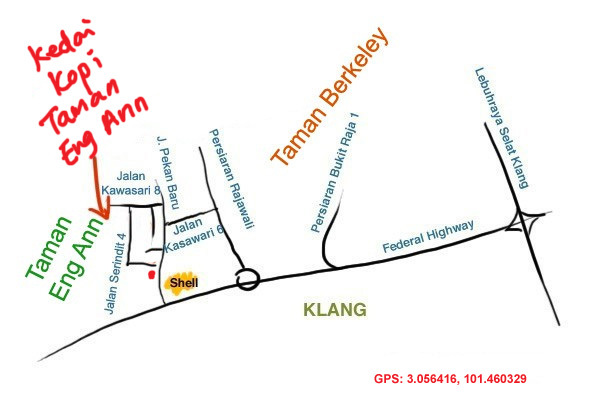 For that, we went to Kedai Kopi Taman Eng Ann for some porky goodness. 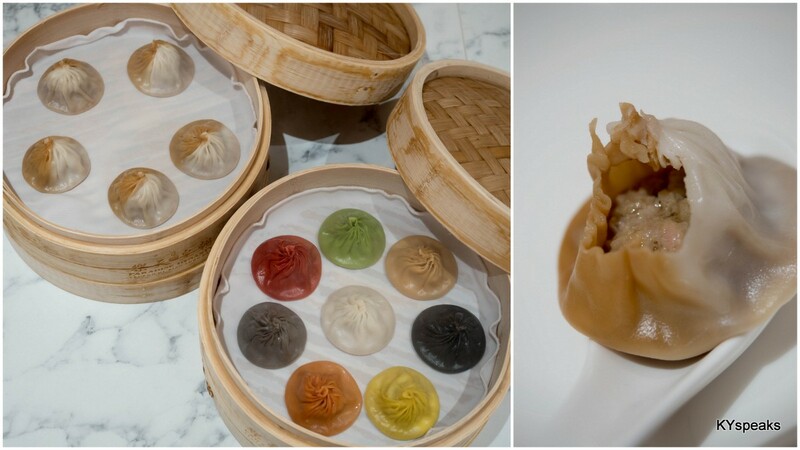 While the shop offers breakfast and other dishes in the morning/afternoon session, BKT reign supreme from 5 pm to 5 am daily. 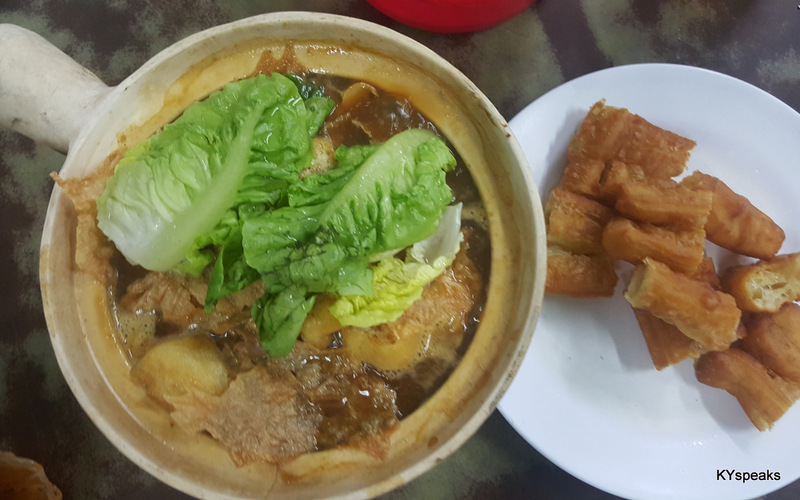 The bak kut teh here comes in a clay pot, and in addition to your choice of pork (kah wan, big bone, small bone, 3-layer belly, ribs, etc), there’s also a few leafs of vegetable, tofu pok, and some mushroom. The pork lives up to the reputation of Klang bkt – soft, tender, and flavorful. The soup is quite strong on herbal taste as well, and they’re not stingy with refills, which is nice. However, there are no deep fried shallots here, tho generous amount of chopped garlic and chili padi accompany the clay pot dish, which is fine by me. Surprisingly, the yu tiao (yau char kuai) here is crunchy and quite delicious, a departure from the usual soggy business of other places. Prices here is fair and on par with other BKT sellers in the area, I think I prefer this over Kin Kong (which is somehow more “famous”) located a stone’s throw away and operate at similar hours. KY, your sister resemble you so much. Great meal of BKT for her. 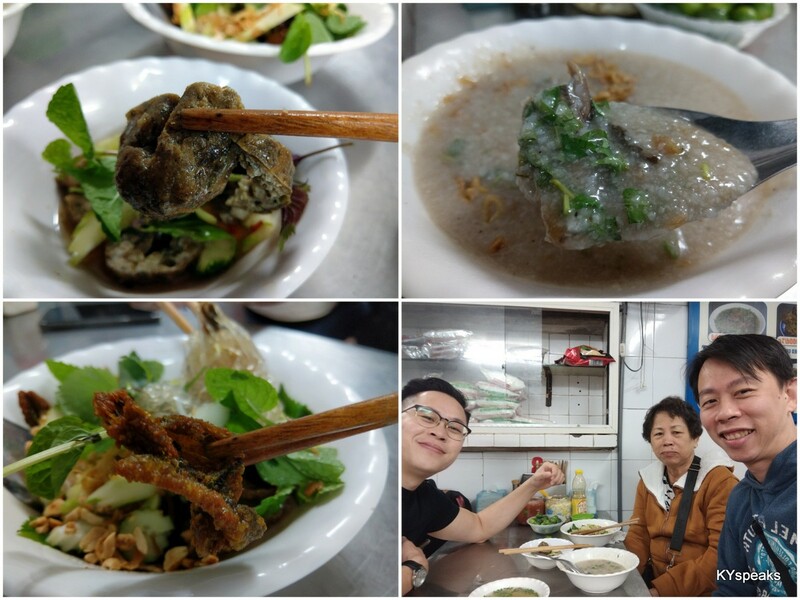 BKT is one dish that you won’t find in Hong Kong or Taiwan. Must head to Southeast Asia for it. 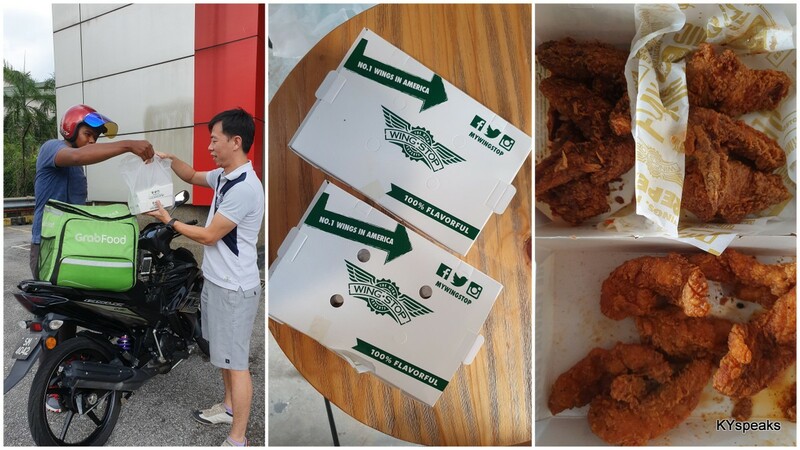 Now more Hong Kong food business in Singapore so my cousin happy he do not have to head Hong Kong for it. Haven’t had bkt for a while now. Perhaps I should go and check on some of the new ones in town. Good to know the late hours. I always had the impression that you had to get up at the crack of dawn and travel all the way to Klang to get a good bowl. OMG a true Klangite! Thank you for the tip, Samy at the botanic side usually run out by 8.30pm, thank god I found you!